Our January, 2017 newsletter will be available online at Dr. Krohse's Blog. If needed, please use the links in the footer to opt out or change your account. $60 buy in! Set your own goal! Reach the goal & get at least $60 back! Are you a runner, cyclist, or triathlete who knows you could perform better if you could just reach your ideal race weight? Perhaps you train and race with a goal of slimming down, but find that you have a lot easier time sticking to your training schedule than your diet plan and never reach your goals? This challenge is designed to give you the motivation, inspiration, accountability, and camaraderie to reach your weight loss and endurance sport goals! Buy in money will be split between all who reach their goal by the week of May 12 – if you reach your goal, you get your $60 back plus the split percentage from those who did not reach their goal. Ideally you just get your $60 because everyone succeeds! Initial measurements of weight, body fat using Omron, body circumference will be taken with follow up measurements once per month.Take a before and after picture of yourself at home! At least 20 people need to commit by January 19 for us to proceed – share with your friends! How should I eat? Low carb, slow carb, paleo, primal, Whole 30, Nutrisystem, Take Shape for Life, Weight Watchers Online, or the No S Diet... whatever works for you honestly. Different people find different programs attractive and effective. Our goal with this is not to tell you the one right way to eat. It's to help you stay motivated with what you decide. We want to give you encouragement and accountability to succeed among other athletic-minded people. In fact, we want to be very clear that this is not a medically prescribed weight loss program. You are responsible for using common sense and making sure that if you have any medical considerations you proceed responsibly for your own health. Within that context though, meetings will include time for people to share the foods, recipes, and diets that have helped them reach their goals. Why is a chiropractor putting this on ? Is there going to be some kind of bait and switch or frequent chiropractic propaganda? 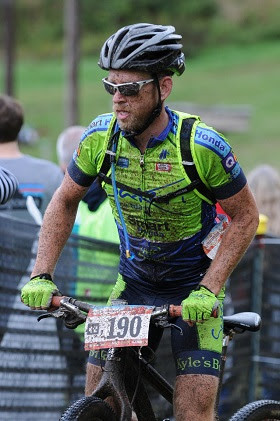 Dr. Krohse has achieved relatively high levels of success in mountain biking, running, and triathlon but in his opinion has never reached his ideal race weight. He hopes this program helps him hit his highest level of success this year. If it helps others reach their goal as well what could be better?? Additionally, Sheri from Dr. Krohse's office is completing a nutrition coaching certification program, and needs to do a number of volunteer hours. Coordinating and facilitating this will help her complete her volunteer requirements. In return for facilitating this free program, we may request that a few people have their diets analyzed by Sheri. Dr. Krohse may give a brief description of the services provided at Compass Chiropractic once or twice through the challenge but other than that the meetings will not be focused on chiropractic or nutritional supplements sold by Compass Chiropractic. How much difference can cutting weight make? Cutting extra weight is a powerful way to improve your performance! One of the more common estimates for running is that dropping 10 pounds would improve your mile time by 20 seconds per mile. This would result in an over eight minute improvement in your marathon! In cycling, improving your power to weight ratio is the key to going faster. Dropping extra weight is by far the quickest and cheapest way to do this. 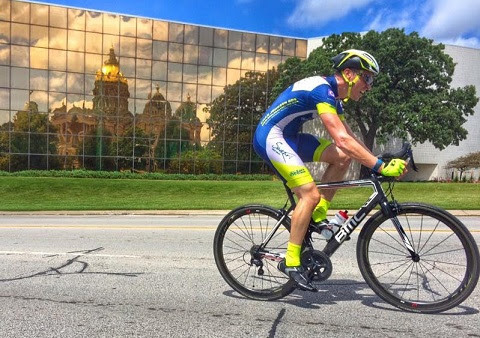 Many cyclists spend $2,000 or more to drop three pounds off the weight of their bike when they have an extra three pounds around their body that they could get rid of for free, if they could just stay motivated. Can I sign up and skip the meetings? Technically yes, but we would love to form a community of people helping each other succeed. We finally got millet pillows back in stock! 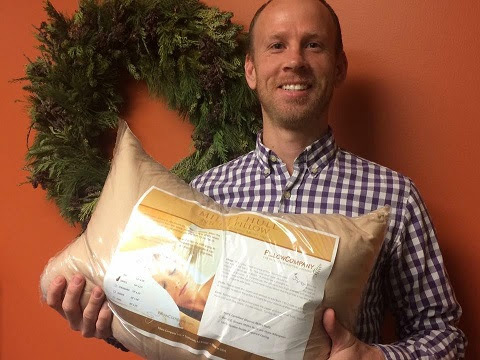 We carried millet pillows from 2010 to 2012 but our supplier went out of business. This was a sad situation since most of our staff had started using millet pillows and preferred them over other types. Sandy and I laugh about how we love ours so much we end up bringing them along on vacations! :) Luckily, we found a new supplier! I consider millet pillows the most recommended pillow type for back sleepers as well as those who sleep front-side sprawled! For true fetal position side sleepers the water pillow we carry could be a better option. 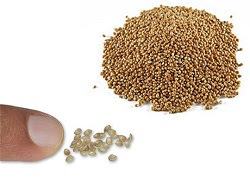 A millet pillow feels a bit like a bean bag with a very fine grain so that it is not noisy. Some people may have tried buckwheat pillows but those have a more coarse feel and can rustle if you move at all at night. Millet pillows are so soft and comfortable feeling. When you lie on it, you can nuzzle your head into the pillow until it feels perfect, and then the pillow stays in that position. For back sleepers you would nuzzle till your neck has a slight forward curve supported by the millet. For front-side sprawlers I recommend using the pillow to get as close to having the center of your forehead, chin, and chest lined up (making the pillow relatively thin). The main downside of a millet pillow is that it's hard to leave it in the morning. So comfortable! I’m watching light snow fall this morning and rather than look at it with dread, I look at it with the anticipation of finding fun winter activities. I have found that Polk County Conservation has much to offer for little-to-no cost. For example, for a nominal fee of $10/day you can rent cross country gear (skis, boots and poles) or snowshoes. All you need is snow! A snowshoe clinic will be taught at the Thomas Mitchell Park on January 14 and the following weekend on January 21 cross-country ski basics will be taught at the Raccoon River Park Nature Lodge. For a little more adventure, try the nig ht time owl prowl on January 27 from 6-7 pm at Jester Park. Also free! On January 7, ice fishing will be taught at the Thomas Mitchell Park from 1-4. The best part: It’s free! One of my favorite things to do is the bald eagle watch on February 26 at Saylorville Lake and the Jester Park Lodge. 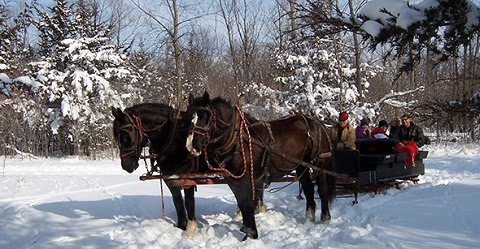 Winter sleigh rides are available through the snow-covered trails of Jester Park. A 45-minute ride is $10. Reservations are required. Sweetheart rides are offered February 10-14 and include hot chocolate, candy and a flower, $30 per couple. For more information and a full list of Polk County Conservation’s winter activities, including registration, go online to www.leadingyououtdoors.org or call 515-323-5339. With the excitement and stress of the Holidays behind us a massage is just what you need to start 2017 off right! Take some time to focus on yourself and your health this month. I highly recommend Hahn Wellness for all of your massage needs. Hahn Wellness is owned and operated by Renee Hahn who currently specializes in Swedish massage, Myofascial Release Therapy, Sports Massage, Neuromuscular Therapy/Trigger point Myotherapy, Deep Tissue Massage and Pre-natal (pregnancy) Massage, Magnet Therapy and Chair Massage. Renee makes you feel welcome and relaxed in the atmosphere that she has created in her massage area. She is compassionate, listens to your concerns, asks questions to better identify your problems, and then customizes your treatment. I have personally never had a better massage than I've had with Renee. My husband and others that I have referred to Renee would also testify to that! 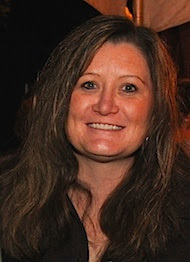 Renee makes it easy to schedule by calling (515-710-1656) or using her online scheduling tool (www.hahnwellness.com). She also offers gift certificates so that you can share the gift of massage with the people in your life. (I always end up purchasing one after my own massage for someone - she's that good). Hahn Wellness is located at 224 S 52nd Street in West Des Moines. 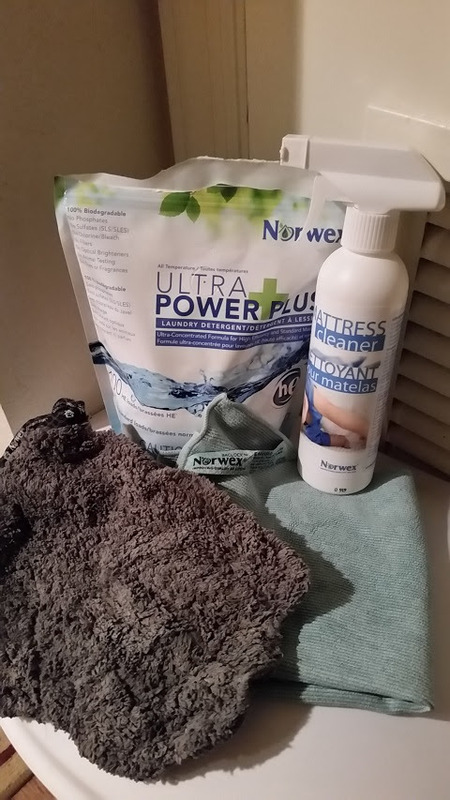 I recently had a friend become a consultant for Norwex cleaning products. I purchased just an Envirocloth, laundry detergent, mattress cleaner & the pet mitt. I sat on them for about a month or so, thinking I would use up all my other cleaning products first. I also had in mind that I would only use the laundry detergent for the Envirocloth and pet mitt. One day while doing laundry I decided to try the laundry detergent on my sheets and the blankets I use for my dogs. This detergent is a highly concentrated, superior stain- fighting powder. It is also 100% biodegradable and free from phosphates and fillers. I was so happy with the results that I have been using it for ALL my laundry ever since. With the success I had with the laundry detergent I decided to try the rest of the product. The mattress cleaner is a spray that is an enzyme-based formula designed to help remove organic material and provide a deep cleaning of body oils, pet dander and other contaminants from pillows, comforters, pet bedding, fluffy toys and fabric furniture. I use it monthly on my mattress and every two weeks on my furniture and pet beds instead of Frebreeze now. Absolutely love it! The pet mitt can be used wet or dry. I like to use it in between bath time for my dogs when they get in the pond or creek out where we walk and need a wipe down. It leaves their coat shiny and soft. The antibacterial EnviroCloth removes dust, dirt and grease from all washable surfaces using only water—no chemicals! Norwex Microfiber has the ability to remove up to 99% of bacteria from a surface when following the proper care and use instructions. The super-absorbent EnviroCloth picks up dust particles and traps them in the cloth until you rinse it out. Then the cloth has what is called BacLock in it that goes to work to self-purify and inhibit odors from bacteria, mold and mildew growth within the cloth. They have products for floors, kitchen, bath and body, kids, pets, laundry, and personal care. I was so excited about what these products did for me that I became a consultant myself! So if anyone is interested in finding out more about these products you can go to my website at https://sherit.norwex.biz You can have a catalog, Facebook, or home party, just let me know, and start the new year out chemical free!